NASA finds 10 earth-size exoplanets, 209 others – Royal Times of Nigeria. The NASA Kepler mission has discovered 219 more exoplanets, including 10 Earth-size planets. Program scientist Mario Perez disclosed this on Monday at NASA’s Ames Research Center in California. Perez explained that ten of the planets are potentially rocky, close to the size of Earth and could support liquid water on their surface. He said; “The Kepler data set is unique, as it is the only one containing a population of these near-Earth analogs: planets with roughly the same size and orbit as Earth,”. 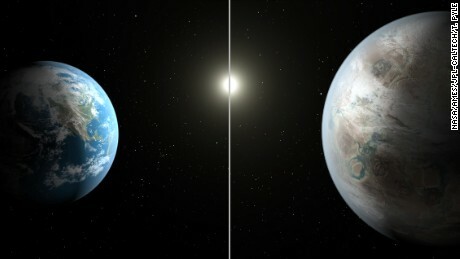 Of the 10 newly discovered Earth-size planets, one is the closest to Earth in size and the distance to its host star. But researchers don’t know much more than that. Kepler has now identified 4,034 planet candidates, and 2,335 of them have been confirmed as exoplanets. The mission has also found 50 candidates similar in size to Earth, with more than 30 of them confirmed.